Did you know that Pacific West not only put much effort into the R&D of their products, but also have a team of experts to create interesting recipes for your cooking idea? In-conjunction with this corporate effort, they had just organised a cookshow both in KL and Penang to introduce their in-house recipes.
' 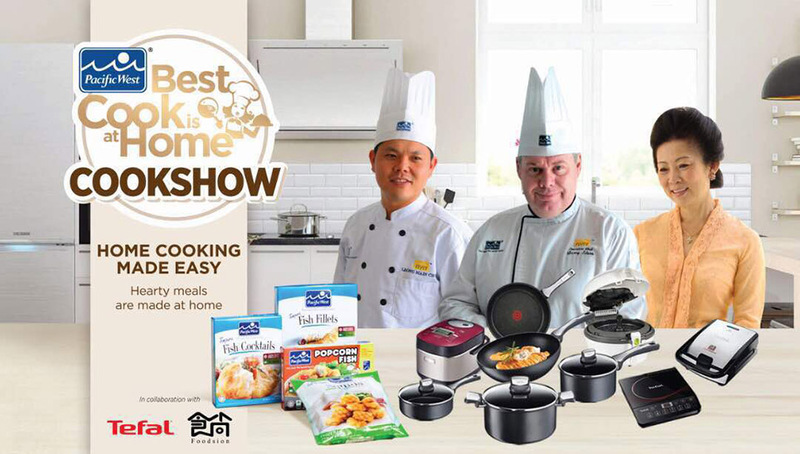 Gibson was invited to their Penang’s cookshow, where chef Garry Edson, MC leong and their special invited guest chef Datin Jenny Oon were demonstrating their secret recipes for the lucky guests to learn and taste on the spot. The event was held at Hin Bus Depot, Georgetown, which was organised by Pacific West Malaysia, in collaboration with Tefal Malaysia and Foodsion magazine. Out of the 9 recipes that was shared at the cookshow, Gibson found this Chunky Fish Fillets with Spinach Laing quite easy to “handle”, below is the recipe and all their recipes are available at official website. Heat a medium-sized pot and add sesame oil. Sauté ginger, garlic and carrot. Add red chili, shrimp paste, coconut milk, soya sauce and fish sauce. Adjust into medium heat and simmer for 10 minutes. Add spinach gradually while covering with lid to steam and compress the leaves until all spinach has been added. From frozen, deep fry Pacific West Chunky fish fillets until golden brown. 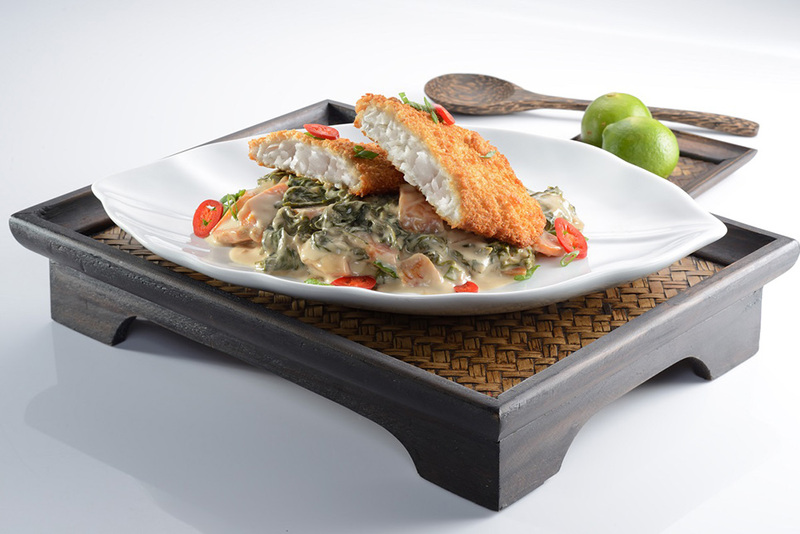 Arrange the Spinach Laing in the center of a plate and place the fish fillets on top.